We made it safely back to Kababeka Falls this afternoon. The winding trails were very challenging. Some of us had a little trouble and had a chance to check the snow depth off the trail. We have had to double back and will be traveling to Geralton tomorrow. on February 29, 2012 at 4:55 pm | Reply Dave G.
Helllo guys, looks like you are doing good. 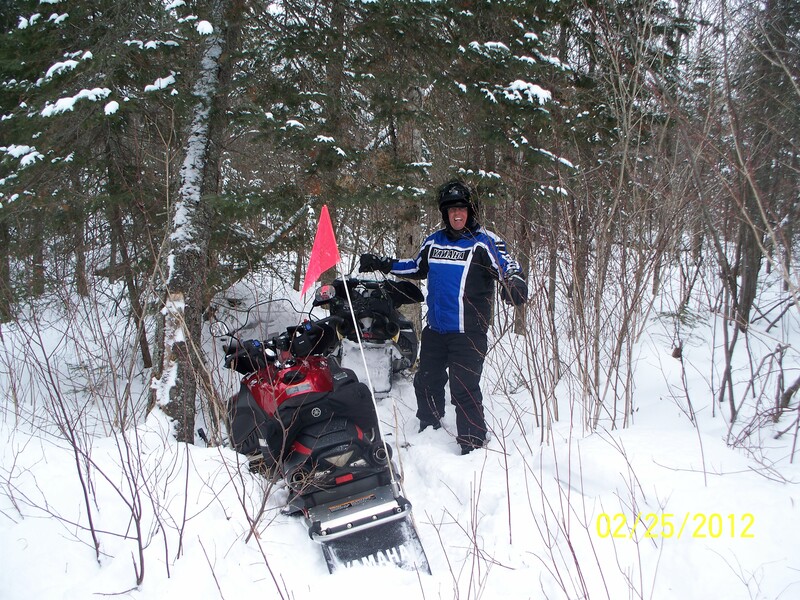 We had great riding from Geraldton to Wawa, trails were very good from Hornepayne to Dubreilville. Myself and Gordon, Maas, Murray, Krupp and the Upty and the Randy’s all got off from Wawa about 4:30pm on Tuesday. Lots of snow in Houghton Lake, about a new foot. Worked with the snow blower for about 2 hours, doing my driveway and my neighbors. Have a safe drive back to your homes. Dave G.